For a few years back in the late 80s I had a regular Thursday night gig at The Parkerville Tavern near Perth, Western Australia. It was a very casual gig and we’d mainly play blues/rock songs or anything we wanted really. Often after the gig we’d stay back for ‘staffies’ hang back, have a few drinks and chat with who ever stayed. One time I got chatting with the barmaid who I’d known for some time and she mentioned she had an old guitar in the wardrobe that belonged to her deceased husband. 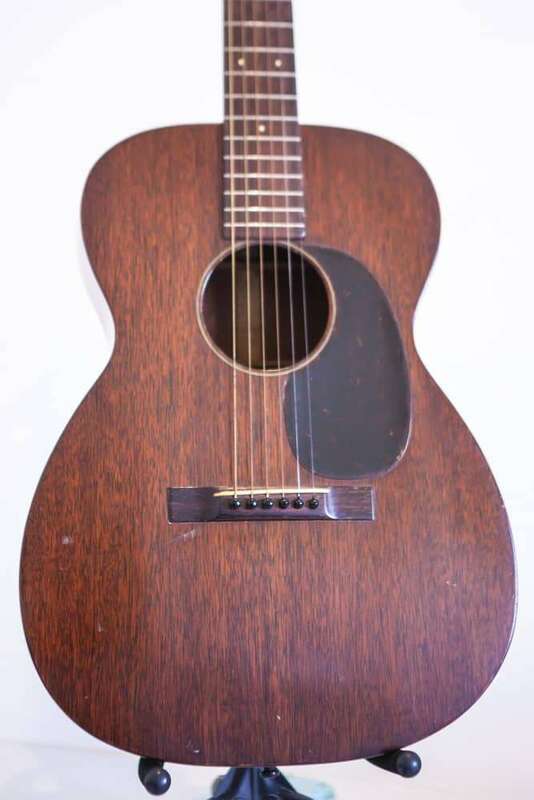 She was thinking of giving it to her kids for school music lessons although she knew it was rare and valuable but because it was her husbands guitar she didn’t want to sell it. 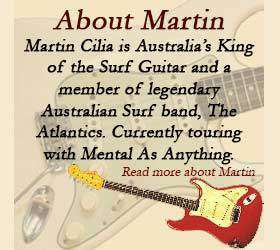 Anyway, on the next Thursday she bought the guitar along to show me, I opened the case and there was an old mahogany Martin acoustic guitar. I sat there and played it and couldn’t put it down, it was a sound I’d only previously heard on records. After I played it I put it back in the case and she took it home with her. The following Thursday I said, if you ever want to sell the guitar I’m your buyer. 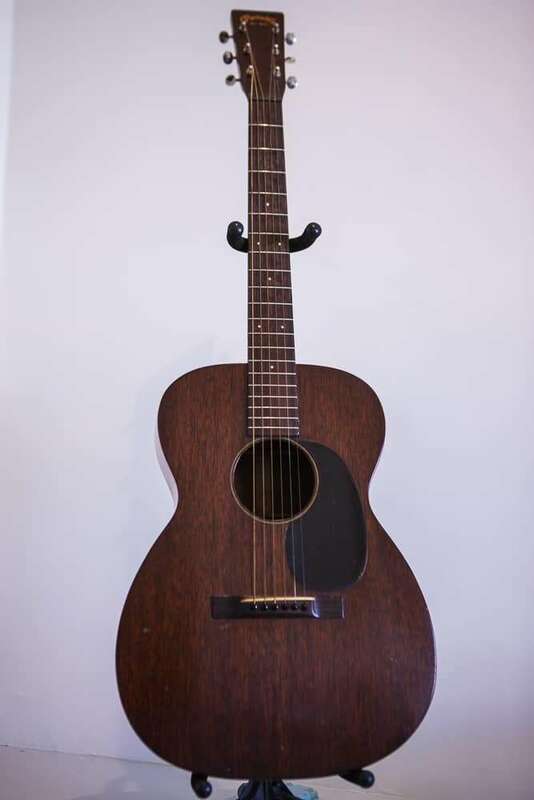 About a month later she asked if I was still interested in the guitar, the following week I was the proud owner of a 1935 Martin acoustic guitar.